We’ve all experienced it before. You’re just about to go to sleep when something jerks you awake suddenly. It’s a strange feeling like you’re falling through thin air. Or like you were about to fall through your bed. It’s definitely a weird sensation.. But what is it really? If you were to google it, the first few websites you’d come to would call it a hypnagogic jerk, and say that it’s an involuntary muscle spasm that occurs as a person is drifting off to sleep. Well, guess what. They’re wrong. Science fails to catch up to metaphysics sometimes, and this would be one of those times. Most people have no idea what the real cause is because they lack an understanding into the abilities of the human soul. The Falling Sensation is actually one of the last things you experience right before an astral projection. This is why they say it can be accompanied by ‘dreams and hallucinations’. It’s literally just how it feels when you’re just about to get out of body, but your soul falls back in quickly. And while the reaction to the experience can vary from thrilling to surprising to frightening, you can learn how to work with your non-physical bodies and turn this experience into a positive one. 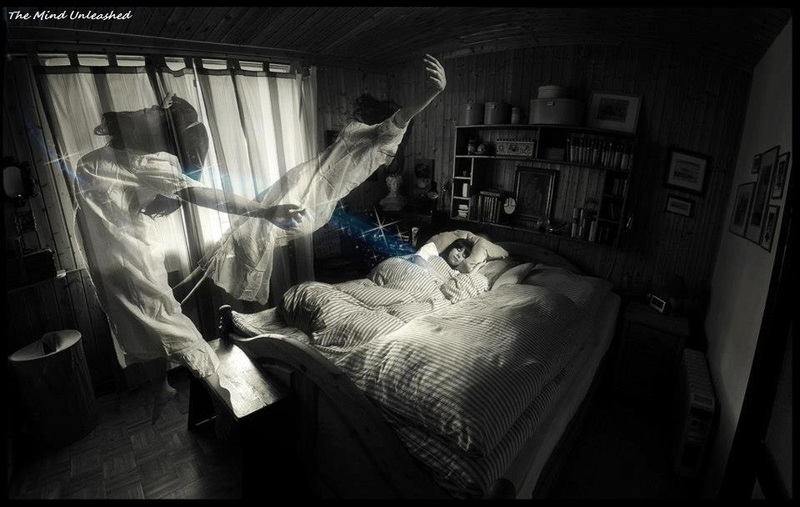 What actually causes the falling sensation while sleeping is the natural disengagement of the astral body (psychosoma) from the physical one, as a result of the relaxation achieved and the expansion of your energies. When we are awake, our energies keep us connected to the physical body, and as a result our bodies stay “aligned”. Alright, so basically, the concept of astral projection hinges on the belief that there is something called an “astral plane,” and that it is one of the seven planes of being, and humans generally live on the material plane. It’s no secret that modern society has us living in a material world, so a little vacay to another plane actually sounds pretty appealing. The mythicized “astral plane” is considered to be the home of not only souls finding their way to their their next life or final resting place, but also angels and spirits that are more than human. It’s very rooted in new age spirituality and mythology. During this lucid dream, the goal is to transcend your physical being, mentally. Your soul doesn’t actually leave your body — that’s physically impossible, of course — it’s just something people say as a way to describe astral projection easily. This whole soul-leaving-the-body theory is also explored in a paper published in the Frontiers of Human Neuroscience. Researchers observed a subject’s brain using an MRI while she claimed to be in a state of astral projection, and they were able to identify which parts of the brain were active during her journey. This makes a good case that astral projection is all happening in your head versus your soul, which is really just an essence of your emotional being. If you want to give it try, prepare to put yourself into a deeply meditative trance to reach a hypnotic state. You’ll do this while lying down to create an extreme state of mind and body relaxation. Anima Mundi Herbals has five techniques on its blog that you can try to reach your hypnotic state. because what works for one person might not work for another. Keep in mind that it’s important to do your research before you attempt astral projection. Make sure you have a clear and pure intention as astral projection is the law of attraction for the soul, which means that whatever you reflect will come back to you during your soul journey. Safe travels my soul travelers, and may the astral odds be ever in your favor. Want to learn more? This is the best video about Astral Projection ever!